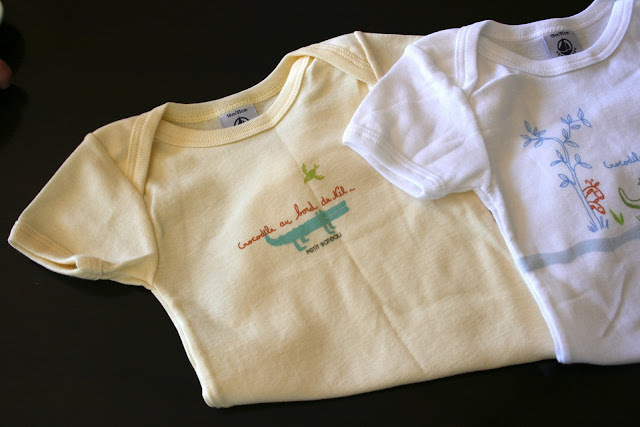 The winning bidder will receive both onesies--a set of two. Size 18 months; although I find French clothing runs a bit small, so I'd recommend dressing up baby around 6 to 9 months just to see if it fits. Good luck! adorable! i'll start it out at $30! So cute! My new little nephew would love these. I'll bid $35. Thanks for doing this...the positive energy in the blogosphere is amazing. $50 - they are sooo cute!!! 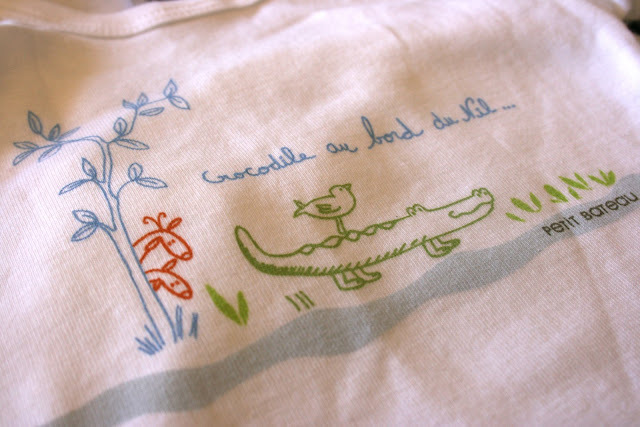 :) Who wouldn't want these little onesies - French style!